Donated in memory of the horses that did not return from WW1. 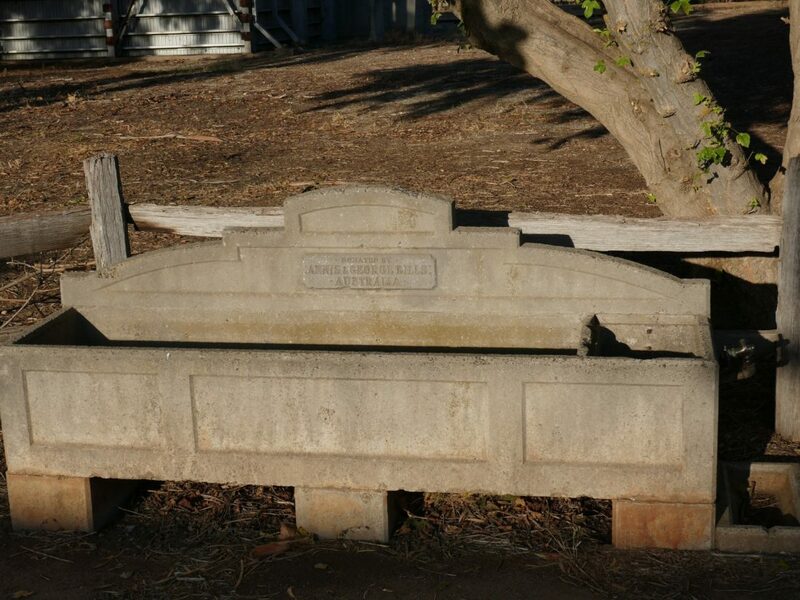 Bill’s horse watering troughs were manufactured in Australia and installed to provide relief for working horses in the first half of the twentieth century. A trust fund through the will of George Bills financed around 700 troughs in Australia and 50 overseas. The Bill’s trough at Devenish is special because it has an attached dog watering trough. At the end of WW1 Australian’s had 1,300 surplus horses not able to return home. The majority of these horses were sold and became remounts for the British Army in India. Only one returned to Australia.